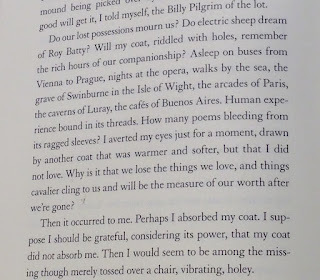 "The Many Portals of The World"
On a whim, I picked up your book M Train at the library last week. Okay, maybe it wasn’t quite a whim, because the book was on my Wunderlist of non-fiction books to read, but I hadn’t gone looking for it - it was out on one of the “Rapid Read” shelves up front and it just leapt into my arms. And it blew me away. Somehow, I had no idea that you were such a gifted writer. Songwriter? Sure. Singer. Yes? But writer of books writer? This is something I didn’t know. 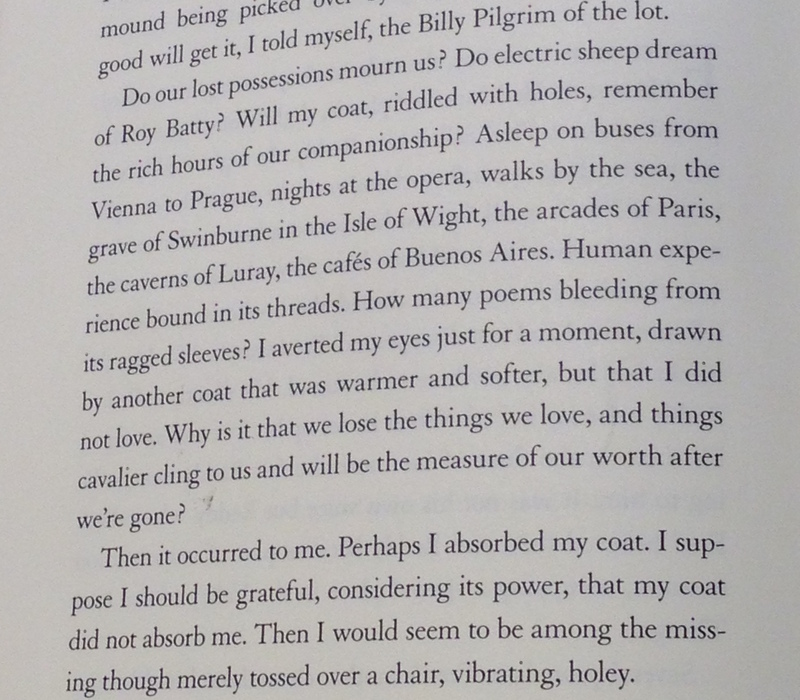 A few pages before that phrase about the coat and the café, there's a paragraph about lost possessions. Are they still with us? My house is full of objects, clothes, furniture that mean something to me - but perhaps not to anyone else. Sometimes I want to catalog them, but who has time for that! Your simple domesticity slayed me – Patti Smith sews curtains, Patti Smith makes packing lists, Patti Smith cleans up her room. I feel stalkerish in that I jotted down books to read (Frankenstein, The Wind-Up Bird Chronicle) and a toothpaste to hunt down (Weleda salt). I’m thrilled to know that you have cats: one of mine is currently chasing a housefly all around my living room and I think she wishes she had wings. You like Luther, and your favorite Doctor is Tennant – could we hang out and watch Broadchurch one day? I took the book out of the library, and it slipped into being overdue – I never do that! I’m itchy fingers away from buying my own copy, so that I can re-read it and dog-ear some pages and scribble in the margins. Hey, thanks. I'm grateful to have been given a portal into your world. I am still undecided about this book. Mainly because I don't think I'd like her in real life and I'm pretty sure she wouldn't like me even though we like a lot of the same things. I'm not sure what it is, exactly. I love this book but I also don't. For the same "I don't know why" reasons. Maybe I'll figure it out one day. I also loved The Wind-Up Chronicle, and many other of Murakami's books. Enjoy!